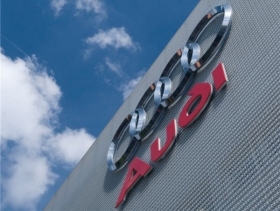 BUDAPEST (Bloomberg) -- Volkswagen AG's Audi division is expanding its manufacturing unit in Hungary as it starts making a new, fourth model there, the company said. Audi invested 150 million forint ($756,000) in the factory at Gyor, western Hungary, before starting production of the RS 3 Sportback, the company said in an e-mailed statement today. The plan is to invest 900 million euros ($1.24 billion) at Gyor in the coming years and to raise annual production to 125,000 cars, starting in 2013, according to the statement. Audi also makes the TT Coupée, TT Roadster and A3 Cabriolet in Gyor.